When it comes to the function of garage doors, many people don’t think about how they work or if they ever need repairs. Even though we use our garage doors everyday, it isn’t very common for us to think about how often to perform regular maintenance. In other words, we don’t fix it until we notice it’s broken. Garage doors need to be maintained just like everything else we own. Once a garage door malfunctions completely, the costs of repairs can run very high. In the following article, we will point out some signs of a garage door that needs to be repaired as well as some basic maintenance tips that will save you time and money. Save yourself on the cost of major garage door repairs and read on! There are some very common signs that will indicate that you need to repair your garage door. Garage Door Guru can help you further address these indications right away, so you can save yourself on much larger repair bills down the line. Below are some typical indications that your garage may soon need some tuning up. Have you ever waited a bit too long for your garage door to open or close? The amount of time it takes for the door to open or close probably gets longer and longer as time goes on. This is the number one sign that your garage door needs to be repaired. There could be various reasons for your garage door behaving in such a way. For example there could be a poor connection between the garage door and the control panel. It may be a good idea to regularly check the connection between the door and the controllers. Also be sure that nothing is in the way of the door, blocking it from closing or opening on its own. It is a good idea that you pay attention to how long the garage door takes to respond to your commands. It usually only takes a second or two to respond to you pressing the button on the opener. Then, your garage door should close smoothly without and delays or hitching. If you do notice and delay, it is likely that there is a problem with the entire garage door, or just the opener. When problems like this persist, you will want to call in one of the pros from Garage Door Guru to check out the situation. Have you ever pressed the button on your controller, and the garage door responds quickly, but stops halfway through? Or what about when the door starts to rise or fall after it begins to open? This is an indication that something is wrong with the garage door tension spring or other parts of the door. When these parts malfunction, it could not only cost you a lot of money in repairs, but it also poses a serious safety hazard. Check and test the balance of your garage door about once every month to ensure the safety of you and your family.It is advisable to check and test the balance of your garage door at least once a month. Do not attempt to fix these issues yourself, as the repair job entails a lot of work with electrical wiring. Leave a job of this scope to the team at Garage Guru. Many older models of garage doors can make some noise when you operate them. It is normal to hear some creaks every now and then, but if the noise intensifies or becomes excessive you may need some work done. The spring or the opener itself may need to be replaced, so it would be smart to get the garage door checked. Problems like these that go ignored will only result in more major repairs later. 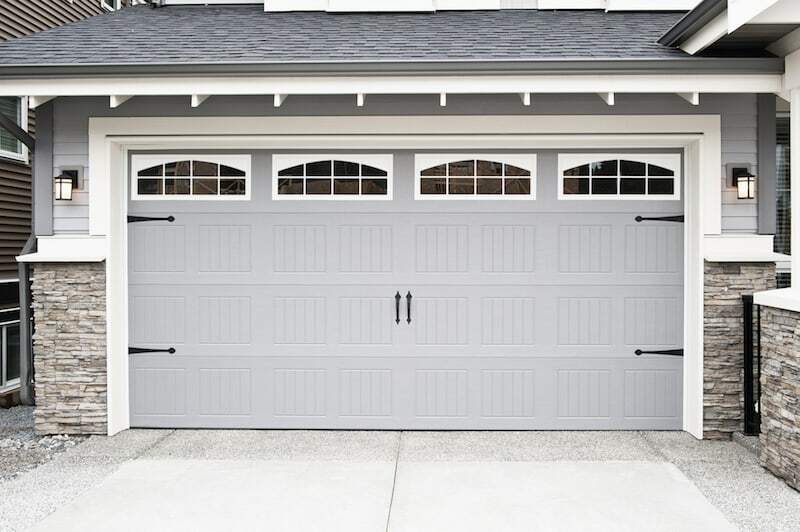 In order for your garage door to function properly, it must remain within the tracks that are located on each side of the door. It is normal for the door to come loose from the tracks sometimes, but it could also be a sign of a damaged door. If you notice the problem happening regularly, call in a pro from Garage Door Guru to assess the situation. If one or more of the above signs are occurring with your garage door, you have to ask yourself what is more cost effective: repairing the door or replacing it altogether. If your door is an older model, it may make sense for you to swap out your existing garage door for a new one. Newer garage door models are made to be more energy efficient, which will save you a good deal of money on your electric bills down the line. Do it Yourself or Call a Pro? Springs: You can test the spring tension of your garage door on your own. If you have an automatic opener, try closing the door and pull the string on your opener to disconnect it. Then you will be able to open your door midway. If it doesn’t remain in place, your spring is either broken or it needs to be adjusted. Do not try to adjust or replace the torsion spring on your own. Cables: You can look to see if there are any worn strips or frayed cables hanging on the sides of your garage door. If you notice this, there is a good chance that your garage door will malfunction, causing injury or property damage. Hinges: Regularly inspect the hinges on your garage door. If you notice that they are broken or dented, you need to get them replaced immediately. Rollers: The rollers of your garage door should operate smoothly and silently. If the rollers are noisy and the movement seems stuck, you may just need to lubricate it. However, if that does not work, chances are the garage door needs to be replaced or repaired. At the end of the day, it is always best to call in the help of a professional to check out what might be wrong with your garage door. Garage Door Guru is on call 24 hours a day, 7 days a week to come inspect your situation. Avoid any property damage or injury to your family, not to mention costly repairs, by calling us today!